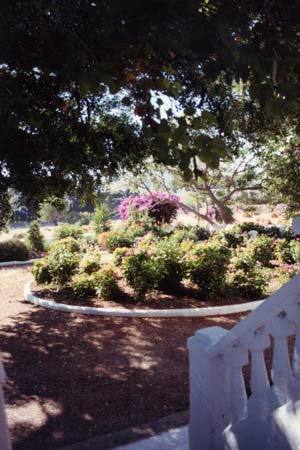 The Angelou Mansion was the summer house of the family and was built near the beach of Alinda in 1895. 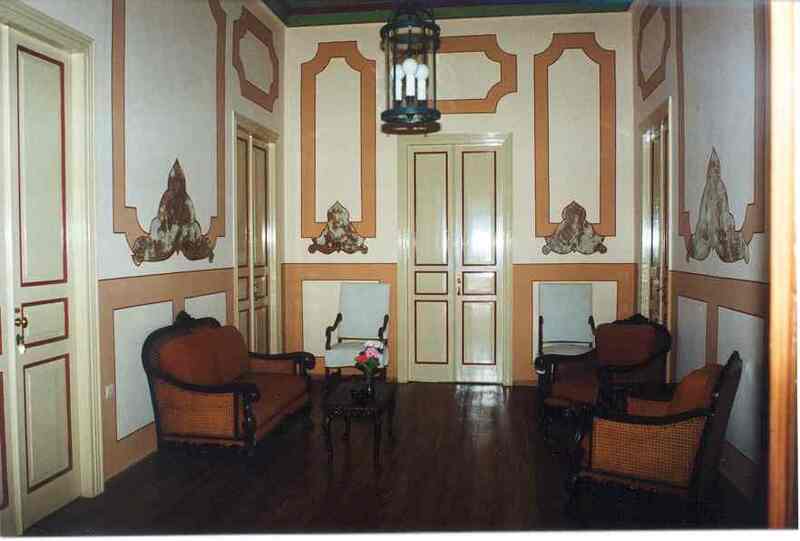 The traditional two-storied house, hidden in a spacious estate, has open views all around it, and maintains the atmosphere and serenity of times past. 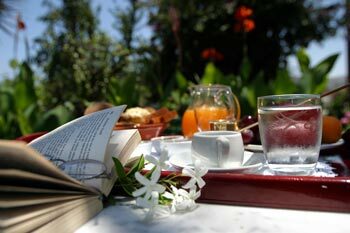 In the garden, where the large trees protect from the summer heat, hotel guests can enjoy their breakfast and savor the home-made breads, jams and pastries. 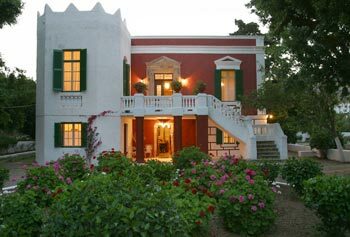 In the garden one can also read in absolute peace, or enjoy a pre-dinner drink while admiring the moon rising over the Venetian fort of Leros. 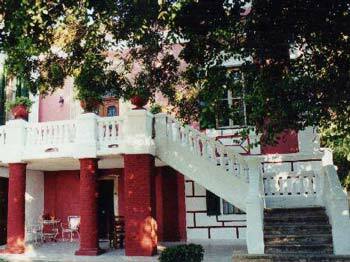 Hotel Archontiko Angelou is housed in a neoclassical villa with 9 rooms and can offer accommodation for a total of 22 persons. Our regular season runs from May to October. 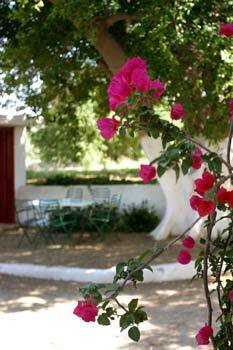 During the rest of the year the entire villa can also be rented by a group. Please contact us for information. Pets are allowed with prior arrangement. In this old house we try to maintain a peaceful and natural environment. We provide the basic amenities that guests expect to find in a hotel, but at the same time we consciously steer away from others that are not necessary and are burdensome to the environment. On an island, such as Leros, where the sea is abundant and clean, and fresh water during the summer months is in relatively limited supply, a hotel pool is an environmentally unfriendly luxury . We believe that air-conditioners are not necessary, because the traditional construction of the house with the thick stone walls and seaweed / sand insulation of the roof keeps the interior cool, while the windows allow for natural ventilation during the evening. 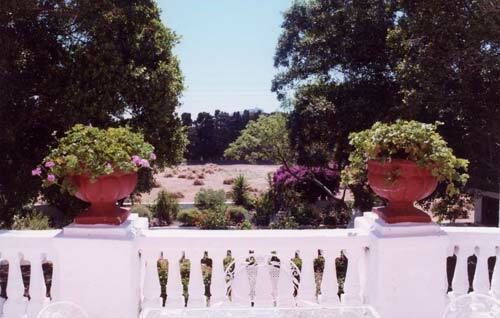 The absence of the air-conditioners' motors and compressors allows the guests to enjoy the peace and quiet of the countryside, whether in their rooms or in the garden. 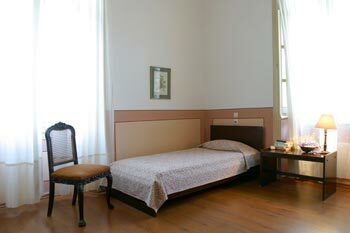 To maintain this precious peace and quiet we also do not provide televisions or radios in the rooms. 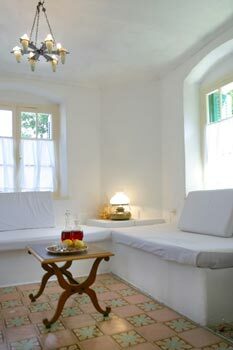 At the same time, our all-natural jams and marmalades, home-baked bread and pastries, fresh juices, local fruits and eggs and the carefree and relaxing atmosphere whisk our guests away from the pressures of everyday life. 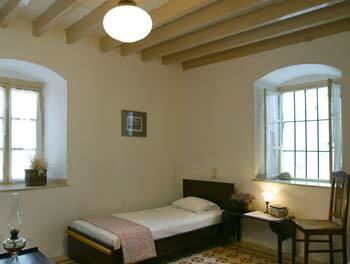 With the exception of the addition of the WC/shower in every room, the house maintains its original layout. 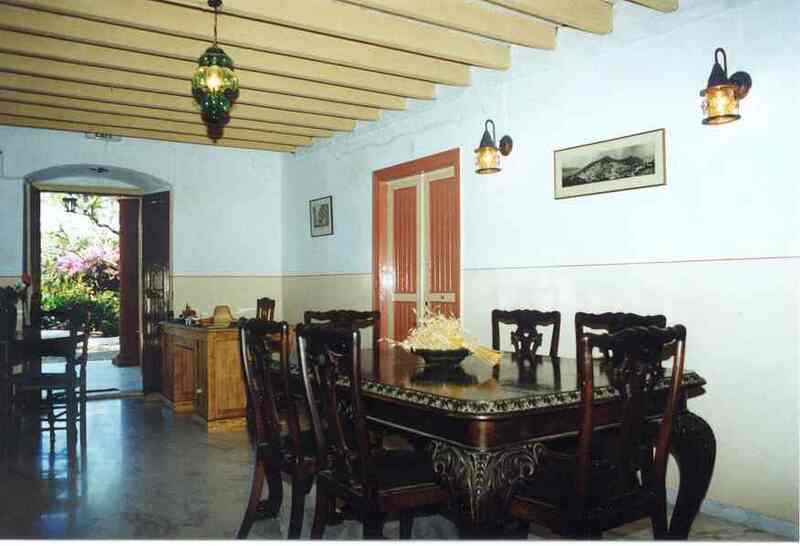 The rooms of the upper level have high ceilings and present views into the garden and the surrounding farmland, while the ones of the lower level enjoy the cool temperatures that only the thick stone walls and the proximity to the ground of traditional stone-built homes offer.